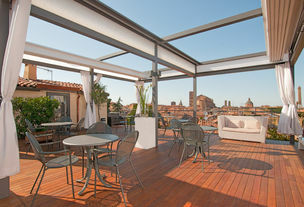 Start in Ravenna - once the capital of the Western Roman Empire - and cycle through the Romagna region all the way to Bologna, the culinary capital of Italy. This tour allows you to explore the famous ceramics town of Faenza, medieval villages such as Brisighella and Dozza and the planned renaissance village of Terra del Sole, built by the Medici family to protect the northern flank of Tuscany in 1564. 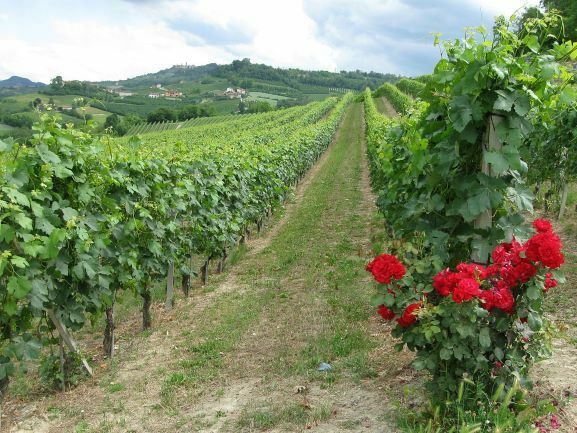 Easy, flat rides and more serious hill rides make for a cycling paradise through the heartland of homemade pasta, so don't wait until you arrive to Bologna to delight your culinary taste buds with freshly made "tagliatelle", "lasagna", "ravioli" and more, all washed down with local Sangiovese wine. 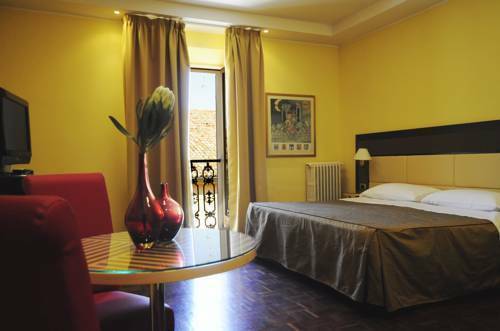 You will arrive in Ravenna, once the capital of the Western Roman Empire. Your centrally located hotel allows you to walk to Dante's Tomb and the UNESCO World Heritage mosaics of San Vitale, Sant'Apollinare Nuovo and the Mausoleum of Galla Placidia this afternoon. Don't miss these early Byzantine churches with their colourful mosaics that draw travellers from around the world. 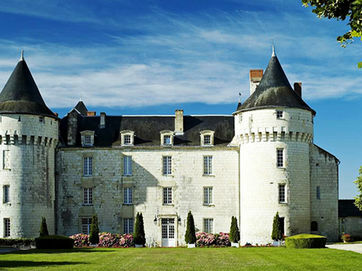 We meet for your full tour briefing and personalised bicycle fitting. Exiting Ravenna, you have the choice to visit another very important Byzantine masterpiece: Sant'Apollinare in Classe. 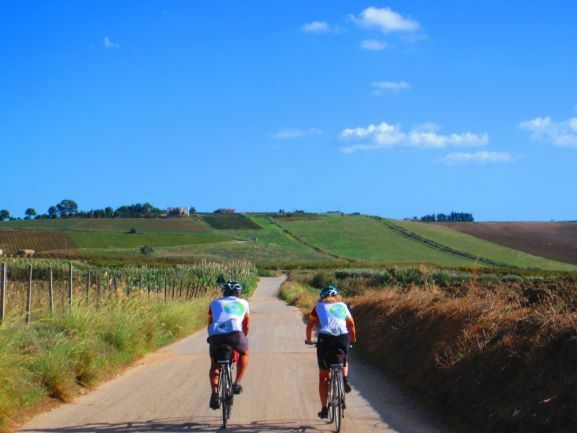 You will ride across the plains through fruit plantations and arrive to Faenza. 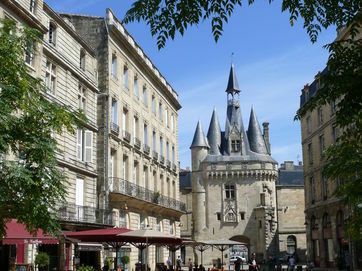 Your hotel is a restored convent near the central square of this regional market centre and famous ceramics town. 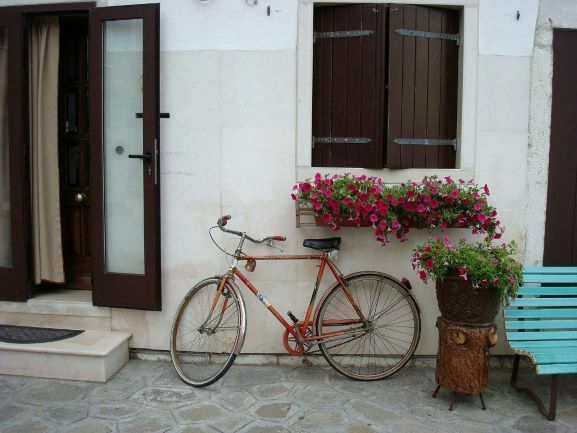 Enjoy the bustle in the market square and the main "piazza" which is always full of bicycle riders of all ages. Faenza is world-renowned for its hand decorated ceramics; we recommend a visit to the International Ceramics Museum as well as several of the local artists' studios specialized in this colorful pottery. 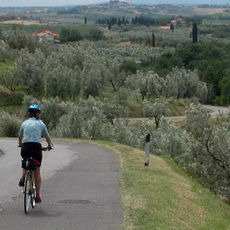 Enjoy a quiet ride through vineyards and kiwi orchards on your way to the enchanting medieval town of Brisighella. You should certainly plan to explore the historic town centre and to see the unique Via degli Asini, one of the best preserved medieval artisan streets anywhere in Italy. 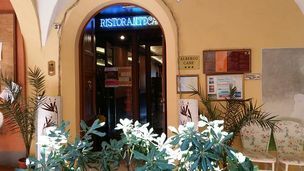 The homemade pasta in Brisighella is worth a lunch stop (and the gelato is not bad, either!) 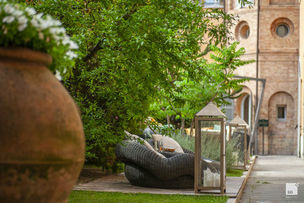 Your ride continues on to your Agriturismo, a rustic country house hotel with a working farm just outside Riolo Terme. 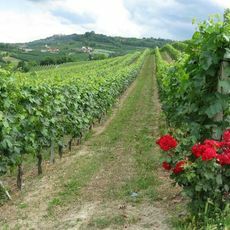 We'll leave the hills of Dozza to ride to Bologna today, Emilia Romagna's administrative capital, and, arguably, its culinary capital too. Home to the oldest continually operating university in the world, Bologna has a long tradition of studies, arts, and gastronomy. 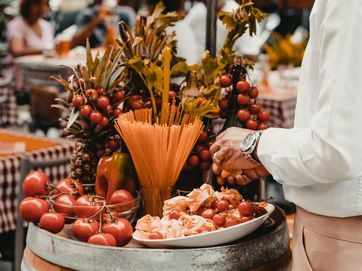 Speaking of gastronomy, Bologna gave birth to the mortadella, vulgarly distorted abroad as "bologna," although the fresh, artisanal mortadella has nothing to do with processed ham! Make sure you put this culinary delight on your 'must try' list. 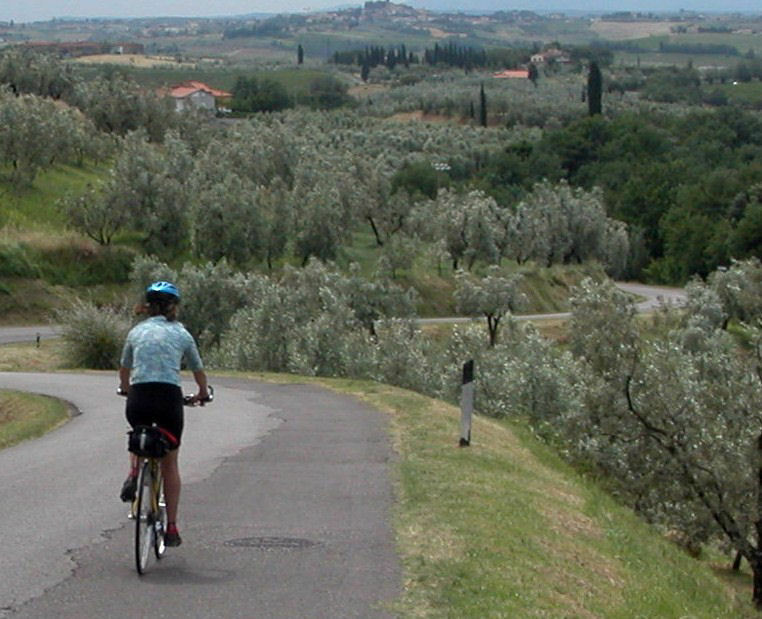 Note: On the shorter ride you will take a train from Burdio to Bologna. 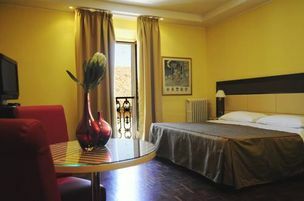 If you have the time you might consider an extra night or two in Bologna to enjoy the rich cultural history here. 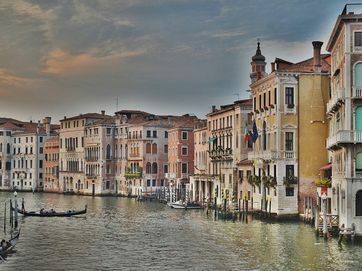 Alternatively, train connections are convenient to Rome, Venice or Milan. Thanks for joining us and 'buon viaggio'. You have two options today. 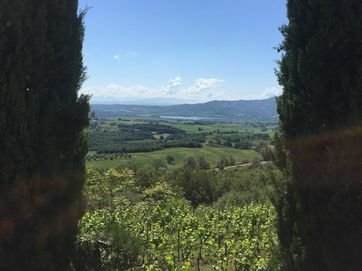 Both include a ride to Terra del Sole, a border town built by the Medici family in 1564 to protect the northern frontier of Tuscany designed with the new Renaissance concept for the 'Perfect City'. 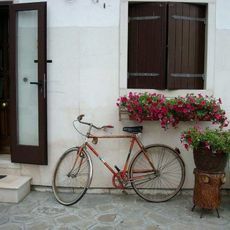 On your way to Terra del Sole you'll pass by our cycling base and headquarters so we'll plan to show you around, give you morning coffee and cake and send you on your way. 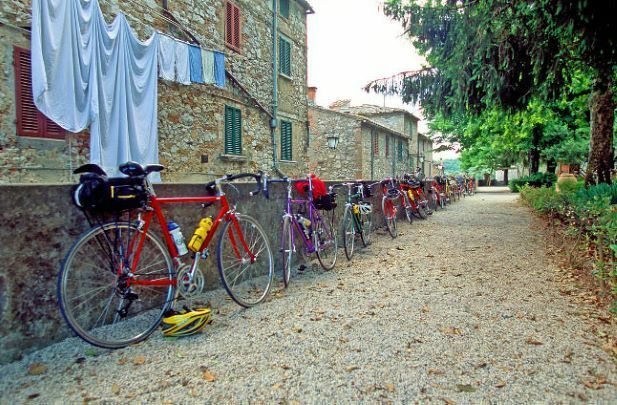 Those who want an easy day will ride to Terra del Sole and back to Faenza at the base of the low foothills, giving you time to take it easy in any of the towns. 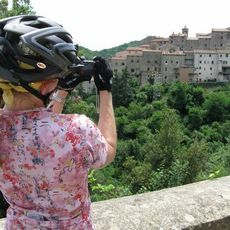 Those with more energy can climb one of the most famous mountain rides for cyclists in the area, Monte Trebbio. 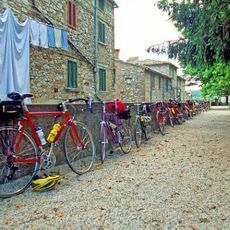 Today offers options for the more relaxed Softies cyclist and for those wanting a longer day in the saddle. 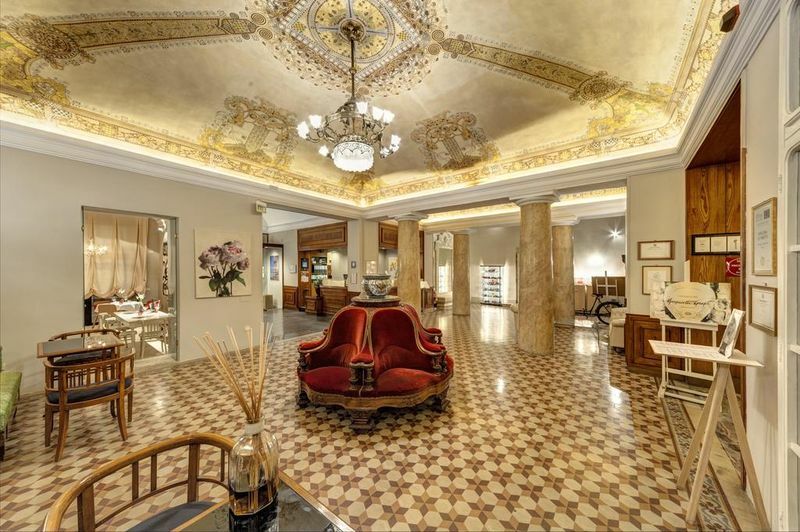 Riolo Terme is a spa town so you can always elect to relax in town, enjoy a plethora of thermal water spa treatments, play a round of golf, get a massage, and just take it easy. 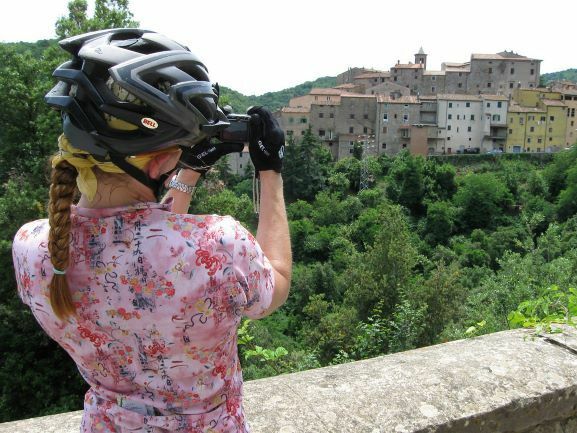 We'll recommend a long ride into the hills for those wanting a challenge and an easy ride to Castel Bolognese for those who want just a little exercise. 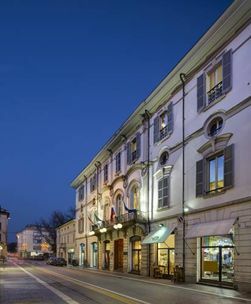 The palace-hotel ‘Palazzo Galletti Abbiosi’, in Ravenna, is an ancient noble residence of the historic centre dating back to the eighteenth century. 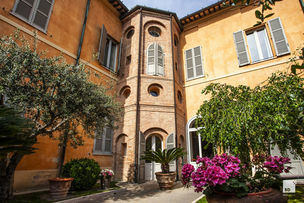 The Palace is located in front of one of the most beautiful churches in the city, the Basilica of Sant’Apollinare Nuovo and a few steps from the Dante Alighieri Theatre. 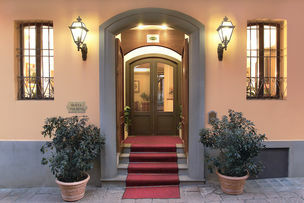 The Hotel Vittoria is located in a period building in Faenza's historic centre, a short stroll from the central Piazza del Popolo and close to the town's main attractions: the Museo Internazionale delle Ceramiche, one of the world's finest and most complete collections of ceramics, and the Museo Carlo Zauli, dedicated to the well-known ceramicist and sculptor from Faenza who died in 2002. 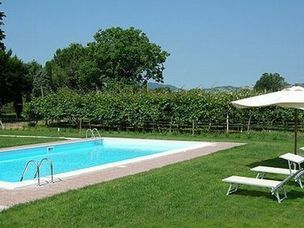 Agriturismo Rio Manzolo features a seasonal (summer) outdoor pool and an on-site restaurant. It is a charming and rustic property, named after the river flowing nearby, that is surrounded by 12 hectares of orchards and vineyards. 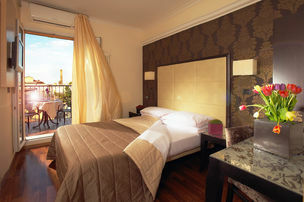 All rooms are in local style and ensuite. 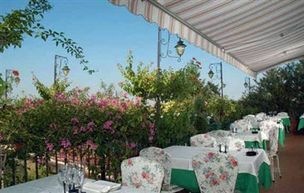 The restaurant specialises in Italian cuisine based on local and seasonal produce. 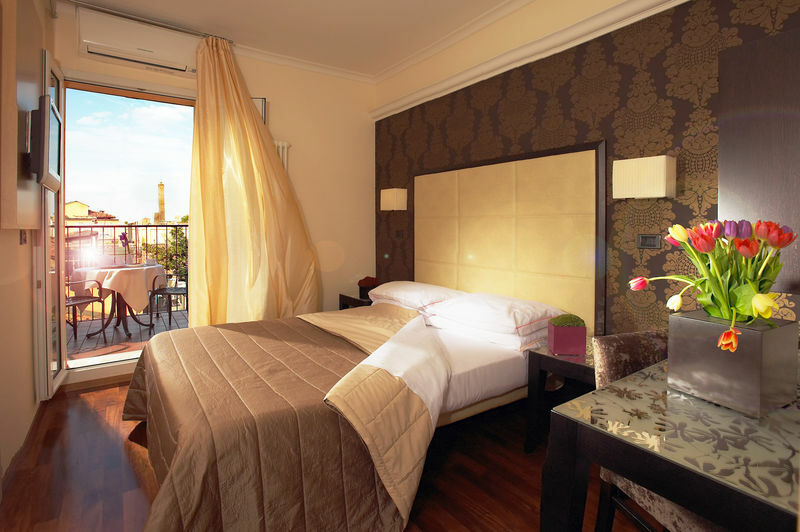 Albergo Cane is a really lovely hotel. 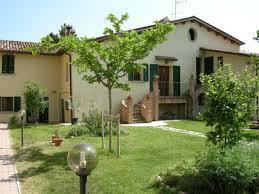 It is not luxurious, but has a rustic charm and is adequately appointed. The setting is delightful in this ancient hilltop citta d'arte. The traditional restaurant provides very good food and the terrace is lovely with outstanding views across the valley.